Only recently, however, did I learn that Fujii had experimented with going beyond the chamber music scale of resources. Twenty years ago she assembled a large ensemble, which she called Orchestra New York, for which she would serve primarily as composer and conductor. This group gathers (probably with some variation in personnel) in response to projects that Fujii undertakes that go beyond the constraints of a jazz combo. The most recent of these has been a personal contemplation of the 2011 nuclear power plant disaster at Fukushima. This was a highly complex issue; and Fujii realized that, as a composer, she could only do it justice by working on a large scale. The result was that Orchestra New York was to assemble for the tenth time to record the results of her efforts. Those results amount to an instrumental meditation in five only briefly interrupted sections lasting for about an hour and titled simply Fukushima. Like most of Fujii’s work, the recording was released on her own Libra label this past December 15; and, as was the case the last time I wrote about Fujii’s Libra recordings, Amazon.com seems to be blissfully ignorant of her efforts. As a result, I must once again encourage readers to visit Libra’s CD Store Web page to seek out this truly extraordinary effort in “subject-based” musical creativity. As orchestra’s go, this ensemble is still close to a “chamber” scale. There are four saxophonists, Oscar Noriega on also, Ellery Eskelin and Tony Malaby on tenor, and Andy Laster on baritone. The brass section combines trumpeters Dave Ballou, Herb Robertson, and Natsuki Tamura with trombonists Joey Sellers, Joe Fiedler, and Curtis Hasselbring. Rhythm is then provided by Nels Cline on guitar, Stomu Takeishi on bass, and Ches Smith on drums. However, much of the impact of this composition arises from sonorities that cannot really be associated with any of these instruments. The result is an other-worldly panorama, whose sounds are so alien that one can barely accept them as reality. 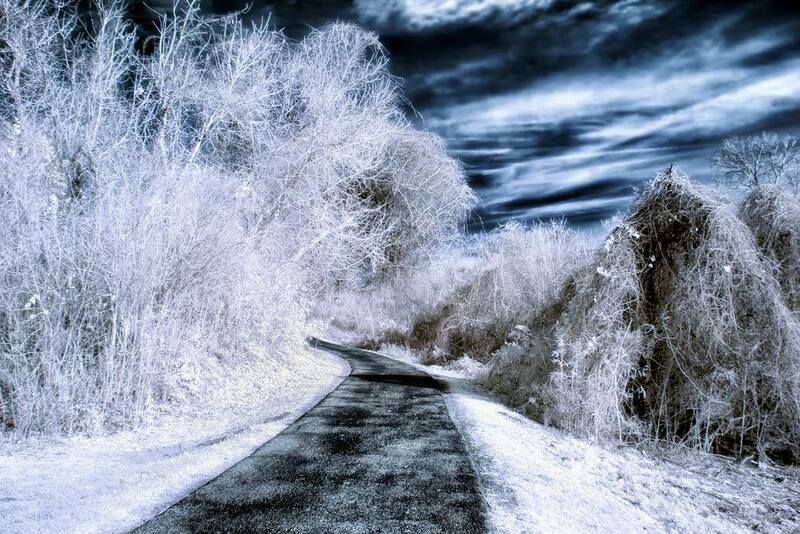 Perhaps that is the way those in Tokyo, whose proximity to Fukushima was almost too frightening to contemplate, felt about their circumstances. Of course the ear finds its own way to acclimate itself to Fujii’s uncanny sonorities, but one must be willing to accept the gradual pace of acclimation. 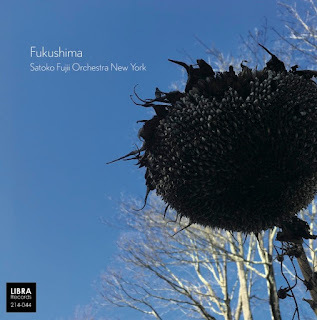 In some respects Fukushima follows that same intensely gradual approach to unfolding content that this site recently observed in a performance by sauti kelele, a performance for which, curiously, the only frame of reference would probably be the symphonies of Anton Bruckner. This is probably a useful perspective. Bruckner used his rhetoric as a means of expressing the intensity of his personal capacity to bear witness to the Divine. However, if Bruckner turned his attention to his own idea of Heaven, Fujii has accepted the extent to which we are all fated to contemplate the harshest of realities on Earth. One might say that she has appropriated Bruckner’s rhetoric for the sake of looking in the opposite direction. The result is more than a little discomforting; but, for those of us who were never perilously close to the Fukushima site, Fukushima is music that nudges us toward more empathic thoughts of those who, to this day, are probably still painfully uncertain of what the future will bring. Friday, January 26, and Saturday, January 27, 8 p.m., Z Space: The Paul Dresher Ensemble has announced an evening of two world premieres that will involve two different composers and two different ensembles. The Paul Dresher Electro-Acoustic Band will present the premiere of “Beyond C,” an improvised concerto by Ned Rothenberg. As might be guessed, “Beyond C” was inspired by “In C,” now regarded as an iconic instance of structured improvisation composed by Terry Riley. These will be followed by selections from the 24 preludes and fugues that Dennis Aman composed during his 2016 Dresher Ensemble Artists Residency. Aman wrote all of these pieces for invented instruments; and the selections will be performed by the two members of The Living Earth Show, electric guitarist Travis Andrews and percussionist Andy Meyerson. Z Space is located in NEMIZ (the NorthEast Mission Industrial Zone) at 450 Florida Street. Ticket prices are $22 for general admission and $14 for students, children, and seniors. Z Space has set up separate event pages for purchasing tickets to the Friday and Saturday performances. Saturday, January 27, 4 p.m., St. Mark’s Lutheran Church: The New Esterházy Quartet will continue their eleventh season of programs based on the early history of string quartet performance with a concert entitled Paris, 1822: The Baillot Quartet. The ensemble consists of violinists Lisa Weiss and Kati Kyme (who share leadership responsibilities), violist Anthony Martin, and cellist William Skeen; and the title of the program refers to the first chamber music group of professional musicians in France. The program will begin with Joseph Haydn’s Hoboken III/76 quartet in D minor, the second of the six Opus 76 set of quartets, known as the “Fifths” quartet. (Opus 76 was Haydn’s last complete set of quartets.) The Haydn quartet will be followed by the work of his best known student, the fifth (in A major) of Ludwig van Beethoven’s Opus 18 quartets, also a set of six. The next selection will be the Andante movement from Wolfgang Amadeus Mozart’s K. 464 quartet in A major. The program will conclude with a selection from another set of six quartets, the last (in A major) that Luigi Boccherini collected in his Opus 32. These specific pieces were chosen because, prior to the formation of the Baillot Quartet, they were all unknown in France. St. Mark’s is located at 1111 O’Farrell Street, just west of the corner of Franklin Street. General admission is $30. Seniors, the disabled, and members of the San Francisco Early Music Society will be admitted for $25; and there is a $10 rate for students with valid identification. A Brown Paper Tickets Web page has been set up for all ticket purchases. Saturday, January 27, 7:30 p.m., San Francisco Conservatory of Music (SFCM): The ZOFO four-hands-on-one-keyboard duo of Eva-Maria Zimmermann and Keisuke Nakagoshi will perform the world premiere of their latest commissioning project, ZOFOMOMA. This involved commissioning fifteen new compositions, each of which was inspired by a recent painting, which will be projected while the music is performed. In addition, with an unabashed nod to Modest Mussorgsky, these pieces will be presented in a continuous performance, linked by a new “Promenade” theme that Nakagoshi has composed for the occasion. The entire performance is expected to last 75 minutes; and a ZOFOMOMA Web page has been created, which lists all of the contributing composers and the names and nationalities of artists that inspired their respective pieces. SFCM is located at 50 Oak Street. This is on the block between Van Ness Avenue and Franklin Street, a short walk from the Van Ness Muni station. The performance will take place in the Sol Joseph Recital Hall. There will be no charge for admission, and reservations will not be required. Saturday, January 27, 8 p.m., The Lab: This will be a celebration of the 40th season of the Rova saxophone quartet, whose members are Larry Ochs, Jon Raskin, Bruce Ackley, and Steve Adams. The title of the program will be Rova Plus One; and, over the course of two sets, Rova will perform three pieces, each of which involves the participation of another performer. Two of those pieces will be played in the first set. “Slowville” is a structured improvisation created by Ochs for which Dohee Lee will prepare choreography to supplement her vocalizing. This will be followed by Steve Adams’ “Luau Axe Quiz,” which will require electronics provided by Wobbly. The second set will consist of the projection of ACVilla’s film No Distractions. To accompany this film ACVilla has prepared a visual score that will be played by Rova in three simultaneous movements. Admission will be $15, and members of The Lab will be admitted for free. Advance registration is strongly advised. Separate Web pages have been created for members and the general public. Doors will open at 7:30 p.m., half an hour before the performance is scheduled to begin. Events at The Lab tend to attract a large turnout, so early arrival is almost always highly recommended. Saturday, January 27, 8 p.m., Herbst Theatre: Artistic Partner Daniel Hope will return to lead the New Century Chamber Orchestra in a Mozart Birthday Celebration program. Hope will serve as soloist in a performance of Mozart’s K. 216 (third) violin concerto in G major. In addition Menahem Pressler will appear as guest soloist in a performance of the K. 488 piano concerto in A major. The ensemble will begin the program with the K. 201 symphony in A major followed by the K. 546 coupling of adagio and fugue movements in C minor. Herbst Theatre is located at 401 Van Ness Avenue on the southwest corner of McAllister Street. Ticket prices will be $29, $49, and $61. Tickets may be purchased in advance online from a City Box Office event page. In addition there will be the usual Open Rehearsal held in the Kanbar Performing Arts Center at 44 Page Street, a short walk from the Muni Van Ness station. This will take place at 10 a.m. on Wednesday, January 24. All tickets are $15. These may also be purchased in advance online from a City Box Office event page. Sunday, January 28, 3 p.m., Taube Atrium Theatre: The next Symphony Parnassus program will present two concertos whose respective soloists are sisters. Ten-year-old Staria Breshears will play the Hoboken VIIb/1 cello concerto in C major by Joseph Haydn; and her eight-year-old sister Valery will take the solo in Wolfgang Amadeus Mozart's K. 216 (third) violin concerto in G major. The second half of the program will be devoted to Ludwig van Beethoven's Opus 93 (eighth) symphony in F major. Maestro Stephen Paulson will conduct. 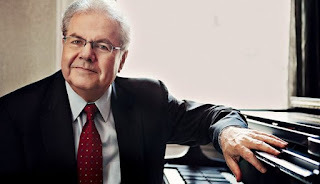 Sunday, January 28, 7:30 p.m., and Monday, January 29, 8 p.m., Davies Symphony Hall: As was announced earlier this month, the San Francisco Symphony (SFS) has severed all ties with Charles Dutoit. As a result, the London-based Royal Philharmonic Orchestra will still visit Davies as part of the SFS Great Performers Series; but details about substitute conductor(s) are not yet available. What is known for now is that there will be no change in the soloists performing at these two concerts. The soloist on January 28 will be cellist Gautier Capuçon performing Joseph Haydn’s Hoboken VIIb/1 concerto in C major. The second half of the program will be devoted to Igor Stravinsky’s score for the “Firebird” ballet; and the evening will begin with Henri Büsser’s orchestral arrangement of Claude Debussy’s Petite Suite. On January 29 the soloist will be Jean-Yves Thibaudet in a performance of Franz Liszt’s second piano concerto. The second half of the program will again present a Stravinsky ballet score, this time for “Petrushka.” The opening selection will be Ottorino Respighi’s “Fountains of Rome” tone poem. Davies Symphony Hall is located at 201 Van Ness Avenue and fills an entire city block. The other boundaries are Grove Street (north), Hayes Street (south), and Franklin Street (west). The main entrance (which is also the entrance to the Box Office) is on Grove Street, roughly halfway down the block. Concert tickets for both January 28 are priced between $35 and $105, while those for January 29 are priced between $35 and $99. Tickets may be purchased in advance online by following the hyperlinks on those two dates to the respective Web pages on the SFS Web site. Tickets may also be purchased by visiting the Box Office or calling 415-864-6000. Sunday, January 28, 7:30 p.m., SFCM: Centennial celebrations continue with a Faculty Centennial Concert. The program will present chamber music compositions by Elinor Armer, Shinji Eshima, David Garner, and the late Conrad Susa. Eshima will also play bass in the performance of his “Bariolage” for cello and bass. Percussionists Jack Van Geem and Jacob Nissly will join forces to perform Susa’s Ragtime Duets. The SFCM Baroque Ensemble will present Armer’s “Leonardo’s Riddle;” and additional performers will be announced at a later date. This will be a free concert for which reservations will not be required. Last night in Herbst Theatre, the San Francisco Chamber Orchestra (SFCO) and its Music Director Benjamin Simon presented their annual Main Stage Concert scheduled to take place on the threshold between the old and the new year. The title of this year’s offering was Young Beethoven, and the program consisted of works by Ludwig van Beethoven that were composed between the years 1795 and 1800. By way of context, Beethoven moved from his home town of Bonn to Vienna in November of 1792 and began his studies with Joseph Haydn, his best-known teacher. By 1793 he had established a reputation as a piano virtuoso. (Simon suggested that this was his original intention.) By March of 1795 he was ready to organize his own public concert, which included one of his two earliest piano concertos to be published. (Which one is not certain.) Note that 1795 is also the year of Haydn’s last (“London”) symphony, Hoboken I/104 in D major. By 1800 Beethoven had a solid reputation as both composer and piano virtuoso. In other words the latest work on the program, the Opus 21 (first) symphony in C major came relatively late in Beethoven’s early period, so to speak. Nevertheless, it is, in many ways, an adventurous piece. It also presents a Beethoven who had discovered that he could outdo Haydn’s capacity for wit and was determined to make sure that Haydn knew it. This is most evident in the Menuetto (third) movement. For many years Haydn had made it clear that he was more interested in triple metre in ternary form than in whether his rhythms were conducive to traditional dance steps. In Opus 21 Beethoven ventured so much further from “minuet tradition” than Haydn had done that, by the time he was writing his second symphony, he had shifted the label to “Scherzo.” One might almost say that in Opus 21 we are witnessing the birth of the scherzo as a symphonic movement. Simon chose to conclude last night’s concert with this symphony; and he was not shy in conveying the full impact of these witty gestures (and all of the others). Thanks to Kaspar von Zumbusch, we tend not to think of Beethoven as being particularly affable. However, affability seemed to be foremost in Simon’s mind in his approach to conducting Opus 21, providing all of us with an abundance of good spirits at the end of what, for most of us, was a very difficult year. That affability was just as evident at the beginning of the program with a performance of the Opus 20 septet, composed in 1799 and scored for violin (Julie Kim), viola (Alexandra Leem), cello (Eric Gaensler),bass (Michel Taddei), clarinet (Peter Josheff), bassoon (Karla Ekholm), and horn (Katie Dennis). Simon’s decision to begin the evening with (conductor-free) chamber music made for a change in the usual tradition; but it was an informative change. Through this septet one could appreciate Beethoven working out different (and often strikingly innovative) ways to combine the sonorities of instruments from the string and wind families. The piece is in a single Allegro con brio movement with an Adagio introduction, meaning that it was very modest in scale. 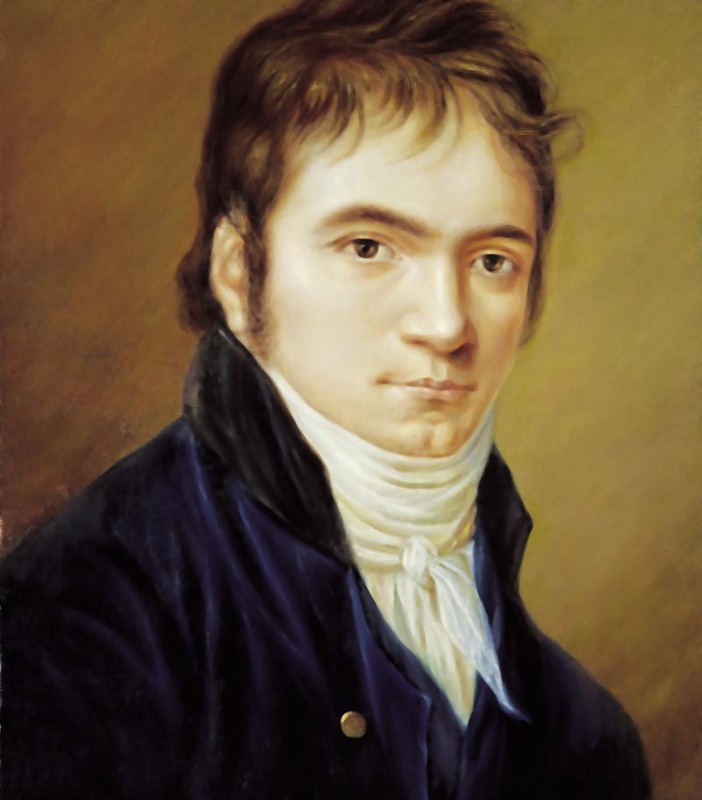 Nevertheless, it provided a framework in which the attentive listener could appreciate the skillful ways in which Beethoven managed winds and strings in the Opus 21 symphony, techniques that advanced the symphony beyond the late efforts of both Haydn and Wolfgang Amadeus Mozart. Context is everything when one listens to music, and Opus 20 turned out to provide the perfect context for Opus 21. The concerto offering was Opus 15 in C major, which may or may not have been the concerto that Beethoven both conducted and played at that 1795 public concert. The piano soloist was SFCO’s 2017–2018 Debut Artist, twelve-year old Rin Homma. There was definitely no questioning the solid foundation of technique that Homma brought to her performance, nor was there any fault in her interactions with Simon on the podium. Nevertheless, this was an interpretation that never ventured very far from the marks on paper. In all probability this was not the sort of performance that Beethoven himself would have delivered in 1795. Once again we need to reflect on his capacity for wit and the likelihood that he saw that 1795 concert as an opportunity for him to thumb his nose at Haydn in public. (Mind you, Haydn was “out of town” at the time!) Furthermore, if Beethoven’s own gestures were not enough to tickle the funny bone, there is also the chance of the Brazilian choro song “Tico-Tico no fubá,” written over a century later and made famous in this country by Carmen Miranda, may have been inspired by one of the themes from the concerto’s final movement. By chance the Music Choice Classical Masterpieces channel on my cable feed happened to be playing Carl Maria von Weber’s Opus 11 (first) piano concerto in C major this morning. Weber may not have had the syntactic or rhetorical depth that one encounters in Beethoven, but Opus 11 offers impressive opportunities for technical dexterity all set in an overall context of high spirits. This is the sort of music that can provide pleasure to young performers and old listeners alike. (I say this with the full disclaimer that my earliest concert experience involved listening to my prodigy-neighbor play the final movement of Beethoven’s Opus 15 at a Philadelphia Orchestra Children’s Concert; and the rondo theme of that movement has never left me.) Perhaps it is time for proud parents and relatives to recognize that there is more to enjoyable music-making than Beethoven! 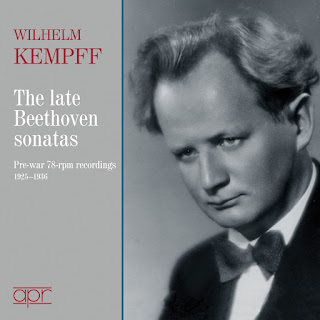 However, while we know Kempff today primarily through CD reissues of technologically advanced DG recordings made during the second half of the twentieth century, he reputation as a recorded artist had already been established prior to the outbreak of the Second World War. For about two years Appian Publications & Recordings (APR) has been remastering 78 RPM recordings that Kempff made between 1925 and 1943 (i.e. both before and during the war). All of these recordings are performances of Beethoven, both concertos and sonatas (with a few short pieces added as “fillers”). Neither of these collections is complete. Opus 19 in B-flat major is missing from the two-CD concerto collection (released in August of 2016), meaning that only four of the concertos are included. Furthermore, the recording of Opus 15 in C major is so early (September 1925) that the production team never bothered to make note of who was conducting the Berlin State Opera Orchestra. Fortunately, the conductor is known for the remaining three concertos, Paul van Kempen for Opus 37 in C minor and Opus 58 in G major and Peter Raabe for Opus 73 in E-flat major. Last month APR released its second sonata album, this one consisting of four-CDs and entitled Beethoven: The complete wartime piano sonata recordings. The latest sonata in this collection is Opus 57 (“Appassionata”) in F minor; and the earliest is the second of the Opus 2 sonatas in A major. In this case it is clear that the entire set is firmly ensconced in “early” and “middle” periods. Writing as one who came to know Kempff through the “higher fidelity” post-war DG albums, I was impressed with how much one could glean from these early recordings. Granted, the sound quality is likely to drive “audiophiliacs” (like my favorite bête noire, Steve Guttenberg) up the wall; but those more interested in listening to the music, rather than critiquing the sound quality, will be highly rewarded. I was particularly drawn to how Kempff composed his own cadenzas for the piano concertos. At a time when just about anyone in a concert audience would associate Beethoven with Kaspar von Zumbusch’s scowling monument, Kempff seemed determined to make sure his listeners both recognized and enjoyed the composer’s capacity for wit. This shows up not only in the cadenzas themselves but also in how Kempff works with his conductor to find just the right way to lend a light touch to the phrasing. Those who have followed my enthusiastic waxing over the recordings of Sviatoslav Richter will find a delightfully alternative point of view in Kempff. Tuesday, January 23: The L.A. Dance Project is an “interdisciplinary” dance company (based in Los Angeles) co-founded by choreographer Benjamin Millepied, composers Nico Muhly and Nicholas Britell, art consultant Matthieu Humery, and producer Charles Fabius. The program will involve an intriguing mix of “live” and recorded performances. The opening selection will be Millepied’s pas de deux “Closer.” Millepied set his choreography to Philip Glass’ “Mad Rush,” which will be performed “live” by Timo Andres (who will return later in the festival to give a solo recital). “Closer” will be followed by the film version of Millepied’s “Hearts & Arrows,” which has Glass’ third (“Mishima”) string quartet as its soundtrack. The final selection will be Millepied’s “Sarabande,” performed by a small male ensemble to selected movements by Johann Sebastian Bach taken from the BWV 1013 solo flute partita in A minor and the six sonatas and partitas from solo violin (BWV 1001–1006). Friday, January 26: Andres will return to present a solo piano recital of (in his words) “works based on visual images, either real of imagined.” Three currently active composers will be featured: Caroline Shaw (“Gustave le Gray”), Eric Shanfield (“Utopia Parkway”), and Christopher Cerrone (“The Arching Path”).These pieces will be framed by selections from Leoš Janáček’s cycle of fifteen piano pieces collected under the title On an Overgrown Path. Those wishing to attend all four events will be able to purchase a PIVOT Festival Pass for $90. These may be obtained online through a City Box Office event page or by calling the SFP Box Office at 415-392-2545, which is open for receiving calls between 9:30 a.m. and 5:30 p.m., Monday through Friday. Single tickets are available for $25 and $40 for premium seating. (All Festival Pass tickets are for premium seating.) These may also be purchased online from City Box Office, using the hyperlinks on the dates given above, or by calling SFP. Single tickets will also be sold at the door. According to my records, pianists have been preparing for acknowledging the centennial of the death of Claude Debussy on March 25, 2018 for more than a year. Nevertheless, the Hyperion label seems to have made its mark with the first all-Debussy release in 2018 itself. 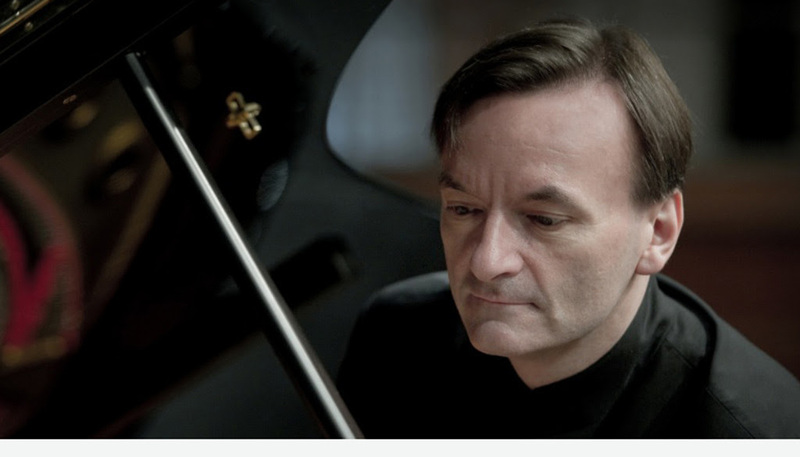 That release will be the label’s latest recording of pianist Stephen Hough; and the album will consist entirely of Debussy’s music for solo piano. For those who wish to get the jump on Hyperion getting the jump on things, Amazon.com is currently processing pre-orders for this CD. While Debussy was only 55 when he died, he had lived through what the Chinese like to call “historical times.” If the early death itself was not dramatic enough, it took place when Paris was under both aerial and artillery attack as part of the German Spring Offensive of World War I. Of greater musical significance, Debussy had César Franck as a teacher when he was a student and Igor Stravinsky as a colleague during the final years of his life. His “life in music” may not have been as tumultuous as a sustained military engagement; but he still managed to live through more “tectonic aesthetic shifts” than most of his nineteenth-century predecessors. Given the breadth of Debussy’s experiences, it is somewhat interesting that the scope of Hough’s album fits into a single decade. Taken in roughly chronological order, the selections are the Estampes collection (1903), “L’isle joyeuse” (composed between 1903 and 1904), the first Images collection (1905), the Children’s Corner suite (composed between 1906 and 1908), the second Images collection (1907), and “La plus que lente” (1910). It would not surprise me if Hough intended to work with this limited scope. I have been aware of his intellectual side for some time and used to follow his column for the London Telegraph until it was situated behind a paywall. I may have disagreed with many of Hough’s ideas, but I have always been interested in reading them. As a result, I was more than a little disappointed to discover that the booklet notes did not offer Hough’s thoughts on why he chose to record these six pieces but, instead, offered only Roger Nichols’ perspectives on each of them. The fact is that, as is the case with so many (if not all) of the composers that our society has chosen to treat as “museum-piece” icons, those who choose to perform Debussy’s music can situate it in a wide diversity of contexts, each of which admits of its own unique approach to interpretation. Readers recall my annoyance with Bryce Morrison, who used the booklet notes for the Warner Classics release of Walter Gieseking playing Debussy’s piano music to declare Gieseking “the greatest of all Debussy pianists.” Clearly, it would be folly to try to use Gieseking as some sort of yardstick against which to assess the activity of listening to Hough. Nevertheless, I suspect that I am far from the only one who enjoys those Gieseking recordings; and it would be just as foolish to think that we can listen to Hough without some degree of “reverberating memories” of Gieseking. In one respect this is not entirely a bad thing. Gieseking knew how to prioritize the marks that Debussy put on his score pages, and that means that giving a clear account of all those notes was one of his goals in preparing those recordings. This is no minor observation, since there are too many pianists whose right foot leans on the damper all too heavily, as if they want Debussy’s notes to be only vaguely perceived though a fog of other sustained tones. Hough definitely stands with those who begin by establishing clarity and then seek out expressiveness in that context. On the other hand I am not yet sure of how Hough wishes to use his expressiveness to direct my attention. Nevertheless, to be fair, this is no easy matter. I have only listened to Hough’s recording a few times. My guess is that, over the course of this centennial year, I shall return to it several times. (Given my listening workload, I shall not commit myself to the adverb “frequently!”) I anticipate that my perception of Hough’s expressiveness will find its own niche in my “listening consciousness,” just as Gieseking’s interpretations have done already. My only regret is that my own personal keyboard technique is far from up to my trying to find my own way through all of those thoroughly engaging pieces that Debussy wrote! Friday, January 19, 7:30 p.m., San Francisco Conservatory of Music (SFCM): The San Francisco Contemporary Music Players (SFCMP) will present the only installment of the in the LABORATORY series for the 2017–18 season. This will be a significant event for several reasons, the most important of which will be the guest appearance of composer and vocalist Meredith Monk, two of whose works will be included in the program. This will mark the conclusion of Monk’s two-day Artist Residency at SFCM, and SFCM students will be involved in performing both of those compositions. Vocal students Courtney McPhail (soprano) and Marina Davis (mezzo) will offer the “Cave Song” from Book of Days, accompanied by SFCMP harpist Karen Gottlieb; and piano student Taylor Chan will join Kate Campbell in a performance of “Ellis Island” for two pianos. This will also be the first appearance of incoming SFCMP Artistic Director Eric Dudley, who will hold a conversation with Monk prior to the performance of her pieces, during which Dudley will also entertain questions from the audience. The concert will be preceded in the afternoon by a How Music is Made event featuring two of the composers whose music will also be performed. At 4 p.m. there will be an open dress rehearsal of Vivian Fung’s “Twist,” scored for electric guitar and violin, which will begin the program. Both Fung and Ryan Brown, whose “Under the Rug” will be performed, will then participate in a Composer Talk hosted by Dudley. Other composers whose music will be performed will be Don Byron (four of his études for vocalizing pianist), Frederic Rzewski (“Les Moutons de Panurge”), and John Zorn (“Cobra”). 45 minutes before the concert begins, Dudley will lead a discussion with some of the SFCMP members contributing to the program. Ticket holders will also be invited to a party following the concert. SFCM is located at 50 Oak Street, between Van Ness Avenue and Franklin Street, a short walk from the Van Ness Muni Station. General admission to the concert will be $35, with a $15 rate for students. How Music is Made will be open to the public at no charge. Tickets may be purchased in advance online from an Eventbrite event page. Friday, January 19, 8 p.m., Community Music Center (CMC): This will be the next installment of Jazz in the Neighborhood, and it is likely to be just as adventurous as the program being offered on the other side of Market Street. The program will feature selections from the first album to be recorded by the Ben Goldberg School, Vol. 1: The Humanities, which was discussed on this site this past May. Clarinetist Ben Goldberg composed all of the selections on this album; and he led a group whose other members were trombonist Jeff Cressman, at whose studio the sessions were recorded, along with Kasey Knudsen on alto saxophone, Rob Reich on accordion, David Ewell on bass, and Hamir Atwal on drums. The ideas behind these pieces grew out of Goldberg’s artist-in-residency in Umbria (in Italy) at Civitella Ranieri, a fifteenth-century castle. The title of the collection has little to do with an academic curriculum, dealing, instead, with those pursuits that make us human. This performance will be held in the CMC Concert Hall. CMC is located in the Mission at 544 Capp Street, between Mission Street and South Van Ness Avenue and between 20th Street and 21st Street. Tickets will be sold at the door at prices of $20 for adults and $10 for students and seniors. Tickets may be purchased in advance (until the end of the day on January 18) for $18 through a CMC event page. Those wishing further information may call 415-826-2765. Saturday, January 20, 8 p.m., St. Mark’s Lutheran Church: The second program being performed during the eleventh season of Voices of Music will be entitled An Evening in Paris: Music for the King’s Chamber and the Parisian Salons. The selections will feature music that would have been heard in Versailles and/or Paris during the eighteenth century. Not all of the composers will be French. Georg Philipp Telemann will be included for his so-called “Paris” quartets, which were performed at those Parisian salons when he visited them in 1737. French composers on the program will include François Couperin and Marin Marais. St. Mark’s is located at 1111 O’Farrell Street, just west of the corner of Franklin Street. General admission will be $45 with at $40 rate for seniors and members of several of the local early music organizations. Tickets may be purchased in advance online through an Arts People event page. In addition, the Box Office may be reached by telephone at 415-260-4687. Saturday, January 20, 8:30 p.m., The Lab: This will be an evening of three new and recent long-form works by composer Tashi Wada. Cellist Charles Curtis will perform the solo work “Valence,” composed in 2016, which involves isolating and reharmonizing the natural overtones of a single string. Bassoonist Dafne Vicente-Sandoval will then play Wada’s 2017 “Witness.” This involves the invention of scale structures through the assembly of tetrachords, many of which have their origins in music from Ancient Greece, Persia, and Arabian territories. Both of these pieces were written for the musicians that will perform them. The program will then conclude with a duo performance in which Julia Holter will join Wada in a work involving keyboard, voice, and sirens. Sunday, January 21, 11 a.m., SFCM: This will be an all-day Chamber Music Festival featuring both students and faculty. It will be structured as four concerts taking place throughout the day, beginning, respectively, at 11 a.m., 3 p.m., 5 p.m., and 7:30 p.m. All performances will take place in the Sol Joseph Recital Hall, except for the final concert, which will be held in the Caroline H. Hume Concert Hall. The entire festival will be free, and reservations will not be required. Sunday, January 21, 2 p.m., SFCM: On the same day Scott Foglesong will give his Faculty Artist Series piano recital, which will probably also involve his discussing background material. As readers probably know by now, 2018 will be the centennial year of the death of Claude Debussy; and Foglesong will honor that composer’s memory with a performance of his Children’s Corner suite to conclude his program. He will begin his program with a suite from another era, Johann Sebastian Bach’s BWV 816 (“French”) suite in G major. Foglesong will then offer a suite of his own by juxtaposing selections from four of Johannes Brahms’ collections of solo piano pieces, Opera 116, 117, 118, and 119. The remaining work on the program will be the set of variations that Federico Mompou wrote on the seventh (in A major) of Chopin’s Opus 28 preludes. This recital will take place in the Caroline H. Hume Concert Hall. Like the chamber music concerts, it will be free; and reservations will not be required. Sunday, January 21, 2 p.m., Legion of Honor: This will mark the beginning of the 33rd season offered by the Avedis Chamber Music Series. This organization has regularly presented recitals by the Stanford Woodwind Quintet. On this occasion the group will be joined by three guest artists for the opening concert. Emily Laurance will join the quintet for a performance of a concertino for harp and winds by Joseph Weigl. The winds will then accompany soprano Désirée Goyette in a selection of the songs from the Auvergne region of France collected and arranged by Joseph Canteloube. During the second half of the program, pianist Paul Hersh will join the quintet in two sextets by Gordon Jacob (Opus 6 in B-flat) and Theodor Blumer (Opus 45), respectively. The Legion of Honor is located in Lincoln Park. It is approached by following 34th Street north of Clement Street (which is the southern boundary of the park). General admission is $28 with a discounted rate of $18 for seniors and students. In addition if tickets are purchased together for a group of ten or more, the group leader’s ticket is free. Tickets can no longer be purchased online, so the simplest way to order is by calling 415-392-4400. The discount for group tickets is available by calling 415-452-8777. February 24: Pianist Robin Sutherland will join his Avedis colleagues for a selection of works for flute, strings, and piano. May 6: Sutherland will return for a performance of the suite that Claude Bolling composed for flute and jazz trio. June 3: This will be the annual concert based on the Baroque repertoire, this time presenting music by both Johann Sebastian Bach and Georg Philipp Telemann. Single tickets for all of these concerts are all the same price. In addition there are two subscription options. The full series is $97 for general admission and $64 for seniors and students. There is also a three-concert subscription for $75 for general admission and $49 for seniors and students. An “early bird” discount will be applied for those ordering before the end of this month. Sunday, January 21, 4 p.m., Noe Valley Ministry: The first Noe Valley Chamber Music recital of the New Year will present the newly-formed chamber ensemble that calls itself the Joshua Trio. The members are soprano Ann Moss and instrumentalists Emil Miland on cello and Meredith Clark on harp. The concert was planned as a celebration of the 300th anniversary of Miland's cello. The program will include world premieres by local composers Candace Forest and Brian Fitzsousa. There will also be an assortment of selections from the works of Lou Harrison, including the air from his Rapunzel opera, the solo cello movement from his piano trio, and his suite for cello and harp. As might be expected, the cello will also be featured in a performance of Pablo Casals arrangement of the Catalan “Song of the Birds"and the “Swan” movement from “The Carnival of the Animals.” Clark's harp work will also be featured in a performance of Germaine Tailleferre's sonata. Moss will sing two Joni Mitchell songs in arrangements by Liam Wade, as well as more “conventional” songs by composers such as Claude Debussy and Igor Stravinsky. Sunday January 21, 4 p.m., Church of the Advent of Christ the King: This month's installment of the Third Sunday Concerts series, arranged by the church's Director of Music, will present the a cappella vocal quartet of soprano Jennifer Ashworth, alto Lauren Carley, tenor Kevin Baum, and bass James Monios. They have prepared a program entitled In Other Words. This will consist of unaccompanied vocal music spanning the period of time from the Middle Ages in England to the work of living composers, such as Scottish composer James MacMillan. Selections will be both sacred and secular. January 4: The New Year will begin with a solo set of improvisations on a drum machine taken by Matt Davignon, who has become instrumental (pun intended) in programming and coordinating these weekly events. The second set will be taken by a quartet that calls itself Ruminations. The performers will be Outsound Presents’ Executive Director Rent Romus on both saxophones and percussion, Kip Kipperman on bass, Tom Djll on trumpet and electronic gear, and Mark Pino on drums. January 11: The second concert of the year will consist of three solo sets, each involving electronics. The first set will be taken by Matt Carney, who uses electronics to provide drones for his guitar and vocal work. He calls this style “agoraphobic drone country;” and he has entitled his set “Silo Homes.” He will be followed by an all-electronics set taken by Gabby Yi Wen. Finally, Howard Ryan will play viola in a remote collaboration with Sam Sharp in Minneapolis. This is the result of a project that the two of them call “S N I C K E R S.” Ryan will receive guitar phrases played by Sharp and sent in real-time over the Internet. He will then subject those phrases to a variety of transforms through his electronic gear, looking for ways in which to extract thematic material that he will then play on his viola. Readers may recall that, here in San Francisco, the San Francisco Early Music Society will use the first Sunday of next month to present Annus Novus: One Yeare Begins – Medieval Poetry, Music & Magic to Ring in the New Year, presented by Vajra Voices. It turns out that Cappella Romana, a professional vocal ensemble, based in Portland, Oregon, that performs early and contemporary sacred classical music in the Christian traditions of East and West, will be visiting San Francisco on the same day. The group, led by Music Director Alexander Lingas, is currently touring with a program entitled The 12 Days of Christmas in the East, which was originally performed in New York as part of the Twelfth Night Festival at Trinity Wall Street. The program will interleave medieval Byzantine chant with more recent works by composers such as John Tavener and Greek Americans Frank Desby and Tikey Zes. This program will be given only one performance in San Francisco, beginning at 2:30 p.m. on Sunday, January 7. The venue will be Saint Ignatius Church, which is located on the campus of the University of San Francisco at 650 Parker Avenue on the northeast corner of Fulton Street. Ticket prices will be $74 for Section A, $54 for Section B, and $35 for Section C.These tickets may be purchased in advance online from a Cappella Romana Web page. Furthermore, there will be a 50% discount for all tickets in Sections A and B that are purchased by December 29. Once those tickets have been placed in the shopping cart, users will be able to enter the discount code SFOEARLY during the checkout process. Finally, the concert itself will be preceded by a talk providing useful background information, which will begin at 1:30 p.m.
Next month will see the beginning of the Piano Series of four solo recitals that will be presented as part of the current season of San Francisco Performances (SFP). All four of the recitalists will be making return visits; and the first of them will be Stephen Hough, who will be appearing for the seventh time, having made his SFP debut in 1991. As many readers probably know by now, this coming March 25 will mark the centennial of the death of Claude Debussy, and this site has already acknowledged the significance of that date on several occasions. 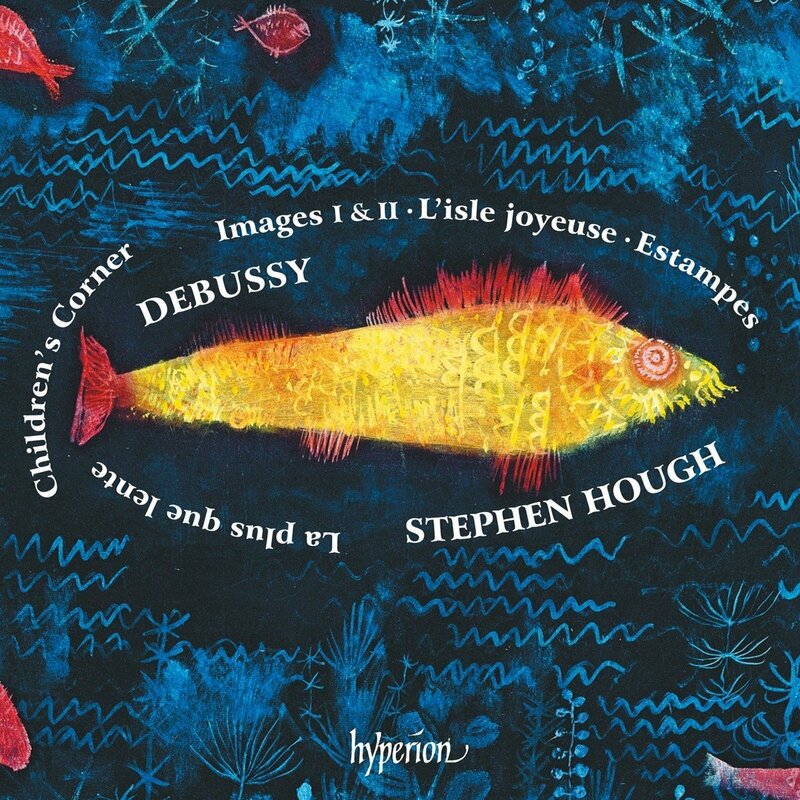 Hough’s acknowledgement will include a new CD of Debussy’s piano music, which is scheduled for release by Hyperion this coming January 5. (As is almost always the case, Amazon.com is currently taking pre-orders for this recording.) 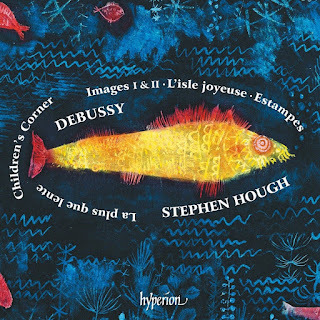 Hough will begin his recital with a selection of Debussy compositions, including both books of three compositions each collected under the title Images, which are featured on his new recording. The Images selections will be preceded by the “Clair de lune” movement from the Suite bergamasque; and, in a related vein, they will be followed by “La terrasse des audiences du clair de lune” (the terrace of moonlit audience) from the second book of preludes. The remainder of the program will involve Ludwig van Beethoven, both directly and indirectly. Hough will begin with Robert Schumann’s Opus 17 fantasia in C major, whose first movement concludes with a reference to thematic material from Beethoven’s Opus 98 song cycle An die ferne Geliebte (to the distant beloved). The program will then conclude with Beethoven’s Opus 57 (“Appassionata”) sonata in F minor. This performance will begin at 7:30 p.m. on Thursday, January 18. The venue will be Herbst Theatre, whose entrance is the main entrance to the Veterans Building at 401 Van Ness Avenue, located on the southwest corner of McAllister Street. The venue is excellent for public transportation, since that corner has Muni bus stops for both north-south and east-west travel. Tickets prices are $70 for premium seating in the Orchestra and the front and center of the Dress Circle, $55 for the Side Boxes, the center rear of the Dress Circle, and the remainder of the Orchestra, and $40 for the remainder of the Dress Circle and the Balcony. Tickets may be purchased in advance online through a City Box Office event page. In addition, since this is the first concert of the series, subscriptions are still on sale for $260 for premium seating in the Orchestra and the front and center of the Dress Circle, $200 for the Side Boxes, the center rear of the Dress Circle, and the remainder of the Orchestra, and $140 for the remainder of the Dress Circle and the Balcony. Subscriptions may be purchased online in advance through a City Box Office event page. Orders may also be placed by calling the SFP subscriber hotline at 415-677-0325, which is open for receiving calls between 9:30 a.m. and 5:30 p.m., Monday through Friday. Between 1968 and 1970 the Austrian pianist Gilbert Schuchter recorded the complete solo piano music by Franz Schubert on a Bosendorfer grand piano in Vienna’s Casino Baumgartner Studio. Finding out much about Schuchter has not been easy. However, the “official website” for BBC Music Magazine has a review by Jeremy Siepmann, dated January 20, 2012, of his recording of the complete piano works of Wolfgang Amadeus Mozart that describes him as “late and barely known.” Given the date, Schuchter’s Schubert project was probably originally released on vinyl and seems to have been given its first CD release by Tudor Recording, based in Switzerland, in 1989. The new release was both physical and digital. Ironically (if not unpleasantly), Amazon.com seems to be providing only the digital downloads, which have to be purchased separately, one for each CD. Those wishing to purchase the physical box will have to visit Amazon.co.uk and deal with a longer delivery time, as well as currency conversion. Siepmann clearly had a high opinion of Schuchter’s Mozart, rating him above Walter Gieseking and the more recent Daniel Barenboim but below Walter Klien. Where Schubert is concerned, my own listening has taken in quite a few pianists. My most “historical” recordings are those of Artur Schnabel; and readers are probably aware of my “more recent historical” interest in the recordings of Sviatoslav Richter. When I was writing for Examiner.com, I took a great interest in a series of recordings released by Paul Lewis; and I am currently following the progress of Vladimir Feltsman, having written about the fourth volume of his project this past July. In that context I feel I can say that it is good to have now a collection the offers “everything in one place,” so to speak. Clearly, there are some compositions that I understand better than others for which I am likely to have stronger opinions. However, I kept an open mind while listening to this collection in its entirely; and I have to say I was never disappointed. I even appreciated the extent to which Schuchter chose to distribute the collections of dances across several different CDs, recognizing that even the most sympathetic listener might begin to tire of too much of a good thing. I would, however, like to single out my interest in Schuchter’s approach to the D. 850 sonata in D major. I have heard this sonata in concert, as well as on recordings, enough times to recognize that many pianists take the Allegro vivace tempo marking for the first movement as an invitation to jump into the heart of a whirlwind. I can appreciate wanting to do this on a modern instrument; but I still have to wonder if Schubert had really intended such a rough-and-tumble effect on any piano that he would have been playing. Schuchter is more deliberate than most in his approach. The result is that, while his allegro playing may be less “vivacious,” the listener has an opportunity for greater awareness of just what Schubert had in mind when putting his marks on the paper. While I like to remind readers of Aristotle’s warning that one swallow does not make a summer, I have to confess that Schuchter’s attentiveness to D. 850 reinforced my confidence in his approaches to all of the remaining selections in this collection! As might be guessed, the last Bleeding Edge of the year is pretty sparse. In fact, it is about as sparse as things can get, since there is only one item to report. Nevertheless, it will be an event that will close out the year with a boom (not to mention a toot, a whistle, and a plunk) that will anticipate the traditional fireworks by a little more than 24 hours. That event will be a performance by the Orchestra di Pazzi (which translates from the Italian into “orchestra of fools”). It is a large ensemble, whose performances consist entirely of free improvisations. 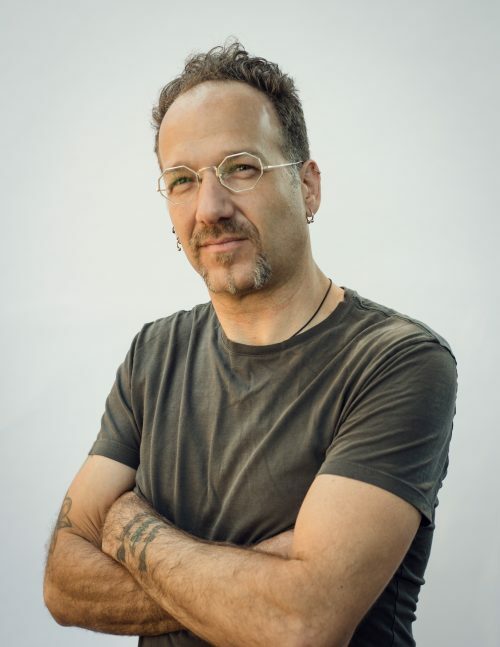 (The group’s motto is “making it up one sound at a time.”) The orchestra was created by Scott Amendola, who serves as director while playing a diverse selection of percussion instruments and electronic gear. The group usually performs in selected combinations, as well as a whole. I am not sure how much personnel varies from one performance to the next; but an impressive lineup has been planned for this end-of-year gig. All four of the ROVA saxophonists (Larry Ochs, Jon Raskin, Bruce Ackley, and Steve Adams) will participate, with Adams also working with electronics. There will also be three powerhouse guitarists: Henry Kaiser, Fred Frith, and John Schott. Vocals will be provided by Aurora Josephson and Pamela Z, the latter with her own custom-designed electronic gear. The string section (so to speak) will consist of violinists Alisa Rose and Christina Stanley, cellist Crystal Pascucci, and Zach Ostroff on bass. In addition, Soo-Yeon Lyuh will be playing her haegeum, the two-stringed bowed Korean version of a fiddle. Finally, there will be a generous percussion section consisting of Willie Winant, Robert Lopez, and Jordan Glenn, along with Mark Clifford on vibraphone. This performance will begin at 8:30 p.m. on Saturday, December 30. The venue will be Slim’s, which is located in SoMa at 333 11th Street. Doors will open at 7:30 p.m. Seating is limited, meaning that most ticket-holders will be standing. General admission will be $20 with a $5.82 processing fee if purchased online through an Eventbrite Web page. As long as the show has not sold out, tickets can be purchased at any time from the Slim’s box office, which is open between 10:30 a.m. and 6 p.m., Monday through Friday. On a show night the box office is often 30 minutes before the doors open and remains open until around 10 p.m. There is no processing fee when tickets are purchased at the box office. Finally, there is the option of purchasing a ticket that also included a fixed-price meal. Those having dinner are the first to be admitted when the doors open and are seated in the reserved balcony section. The three-course dinner includes salad, choice of entrée, and choice of dessert. Diners should arrive no later than 90 minutes after the doors open. The price is $44.95 with a $7.34 processing fee if ordered online from the same Eventbrite Web page that handles ticket sales. During the mid-term break the San Francisco Conservatory of Music (SFCM) will provide a venue for Pictures of the Hidden, a concert that will showcase the music of a rising talent, the young Persian composer Kamyar Mohajer. 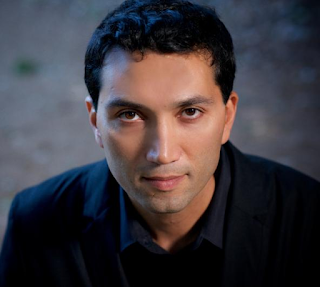 Mohajer’s training is in the Western tradition, having earned his Bachelor of Fine Arts from York University in Toronto, where he studied piano with Christina Petrowska-Quilico and Antonin Kubalek. His composition teachers have been Behzad Ranjbaran (a composer on the faculty of the Juilliard School) and Giancarlo Aquilanti (a faculty member at Stanford University and Music Director of the San Francisco Wind Ensemble). Details are somewhat sparse, but it appears that Aquilanti has at least facilitated the preparation of Mohajer’s showcase concert. Aquilanti’s connection will be most evident in the performance of Mohajer’s woodwind quintet, which will be by members of the San Francisco Wind Ensemble. Each work on the program will feature different performers covering a diversity of genres. There will be a string quartet performed by the members of the Alexander String Quartet, violinists Zakarias Grafilo and Frederick Lifsitz, violist Paul Yarbrough, and cellist Sandy Wilson, which will be followed by a prelude for string trio played by two members of the Ives Collective, cellist Stephen Harrison and violist Susan Freier, joined by guest artist Kay Stern on violin. Pianist Karolina Rojahn will play a C major ballade and accompany soprano Raeeka Shehabi-Yaghmal in five song settings of the poetry of Hafez. This concert will begin at 7:30 p.m. on Saturday, January 6. SFCM is located at 50 Oak Street, between Van Ness Avenue and Franklin Street, a short walk from the Van Ness Muni station. There will be no charge for admission. Next month will see only two subscription concerts by the San Francisco Symphony (SFS), both of which will be led by Music Director Michael Tilson Thomas (MTT); but each will be unique in its own way. This concert will be given three performances, all at 8 p.m. on Thursday, January 11, Friday, January 12, and Saturday, January 13. The Inside Music talk will be given by Laura Stanfield Prichard. The talk will begin one hour before the performance, and doors to the lobbies open fifteen minutes before the talk begins. Ticket prices range from $15 to $159. They may be purchased online through the event page for this program on the SFS Web site, by calling 415-864-6000, or by visiting the Box Office in Davies Symphony Hall, whose entrance is on the south side of Grove Street between Van Ness Avenue and Franklin Street. In addition the Program Note Podcasts Web page has a free podcast about “Till Eulenspiegel’s Merry Pranks” hosted by KDFC’s Rik Malone. In addition, the Thursday performance will be preceded by a Katherine Hanrahan Open Rehearsal. This special behind-the-scenes experience begins at 8:30 a.m. with coffee and complimentary doughnuts, followed by a half-hour introductory talk by Prichard at 9 a.m. The rehearsal itself begins at 10 a.m.; and, of course, the pieces rehearsed are at the conductor’s discretion. General admission is $30 with $40 for reserved seats in the Premiere Orchestra section, the Side and Rear Boxes, and the Loge. Tickets may be purchased online through a separate event page. The following week will see the continuation of the season-long celebration of Leonard Bernstein’s birth centennial with a full concert version of the musical Candide, for which Bernstein composed the music. MTT will conduct from a score that was adapted for the Scottish Opera by John Wells and John Mauceri, which was first performed in 1988. This version was previously performed by SFS in April of 1993 when David Zinman conducted it. The title role will be sung by tenor Andrew Stenson with soprano Meghan Picerno singing his sweetheart Cunegonde and baritone Hadleigh Adams singing her brother Maximillian. Baritone Michael Todd Simpson will sing the role of Pangloss and also adopt the persona of Voltaire in serving as narrator. Soprano Vanessa Becerra will sing Paquette, and Sheri Greenawald will be the “easily assimilated” old lady with one buttock. The SFS Chorus will be prepared by Director Ragnar Bohlin. This concert will be given four performances, at 8 p.m. on Thursday, January 18, Friday, January 19, and Saturday, January 20, and at 2 p.m. on Sunday, January 21. In lieu of the regular Inside Music talk, there will be a special pre-concert “Informance.” Bernstein’s daughter, Nina Bernstein Simmons and George Steele have prepared a presentation with piano accompaniment for an informative and entertaining approach to background. The pianist for this event will be Peter Grunberg. The material itself will be presented by Bernstein’s son Alexander on Thursday and Friday and by Simmons on Saturday and Sunday. Like the Inside Music talks, this event will begin one hour before the performance, and doors to the lobbies open fifteen minutes before the talk begins. Ticket prices range from $35 to $159. They may be purchased online through the event page for this program on the SFS Web site, by calling 415-864-6000, or by visiting the Box Office in Davies Symphony Hall, whose entrance is on the south side of Grove Street between Van Ness Avenue and Franklin Street. Readers may recall that the article about December performances at the Red Poppy Art House covered only the first half of the month. Nevertheless, I began my account of the December 15 program with “If this turns out to be the final concert of the year.” Word then came out about a concert on December 16; and now “it turns out” that there will be two concerts on two consecutive nights that really will ring out the old year. Friday, December 29: This program will see the return of the Peruvian duo of Alejandro and María Laura, both of whom are singer-songwriters. 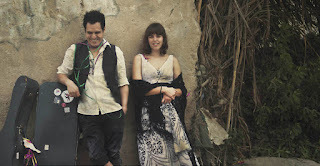 They will perform selections from their third and latest album La casa no existe (the house does not exist). All instrumental accompaniment will be acoustic. Each new song will be performed as it was first conceived. There will also be tunes from the duo’s two previous albums. Those who have followed me not only on this site but previously on Examiner.com probably realize that Naxos of America has played a significant role in my building up the knowledge base without which I would not be able to come close to my personal goal of writing informatively. Going all the way back to when they would distribute downloads for review through ClassicsOnline, I have been building a familiarity with repertoire that would probably be the envy of students (if not faculty) at the Juilliard School. It is with that context that I found myself a bit puzzled, if not disturbed, by the “Editors Picks of 2017 from Classical Independent Labels” that Naxos circulated to my electronic mail Inbox this morning. The fact is that, while I was at least moderately satisfied with the 60th annual GRAMMY nominees, satisfaction due in no small part of my Naxos connection, when it comes to overall listening enjoyment, 2017 seems to have been the year in which I reveled in historical content. 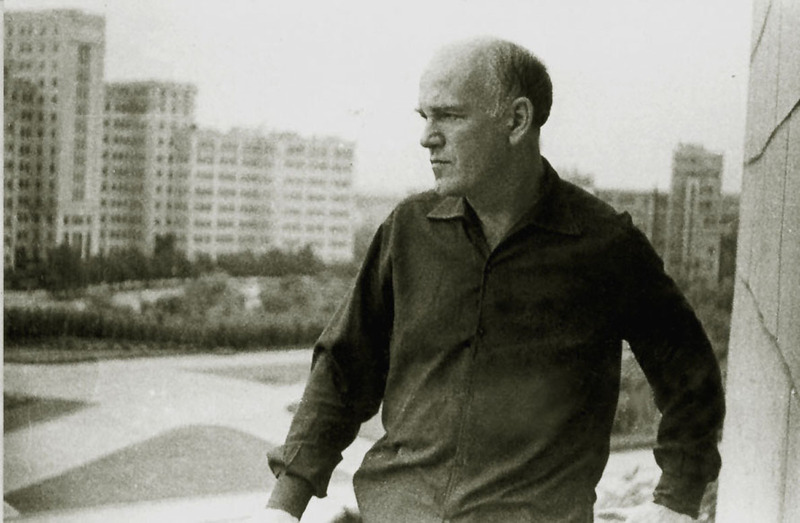 In particular, the lion’s share of that content involved recordings of the late Russian pianist Sviatoslav Richter. Much of this material was probably originally compiled to honor the centennial of Richter’s birth in March of 2015 (the specific date depending on which calendar you choose to use); but most of the releases ended up in the twentieth anniversary year of Richter’s death, which was on August 1, 1997. The role that Naxos played in my deep-ending on Richter recordings is so great that enumeration would be tedious. What was important about Richter was that, for the most part, he avoided recording studios; so almost all of the available recordings were taken from concert performances. This provides an excellent opportunity to appreciate how, while he may have preferred to play a particular piece at many recitals, it did not always turn out the same with each performance. In this context my greatest admiration probably goes to two major box sets released on the Profil label from Edition Günter Hänssler (and distributed by Naxos of America), the first a ten-CD album entitled Sviatoslav Richter Plays Schubert – Live in Moscow and the second the twelve-CD set entitled Sviatoslav Richter Plays Beethoven. 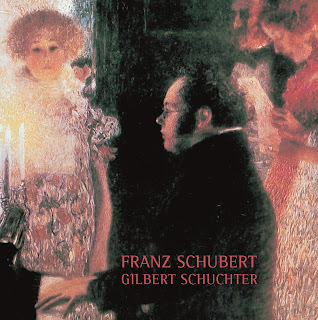 Both of these collections include works given more than one interpretation; and each one has at least one significant “guest artist.” The Schubert album includes Richter playing four-hand music with Benjamin Britten, while the Beethoven collection includes all five of the cello sonatas performed with cellist Mstislav Rostropovich. Britten’s presence allows me to segue over to another significant collection that left me drooling with delight. That was the release of the second volume in the ICA Classics BBC Legends series of recordings taken from the BBC archives. (To be fair the ICA Classics release included in today’s electronic mail dispatch is an impressive one, but not as impressive as the twenty-CD box set.) I wrote about this collection this past Tuesday; but it is worth repeating that listening to the recording Britten conducting Gustav Mahler probably is worth the full “price of admission.” However, what I did not mention on Tuesday is that there is also an entire CD of solo performances by Richter, which is particularly valuable to my interests because it is the only one I have encountered to date that has him playing one of Joseph Haydn’s keyboard sonatas (Hoboken XVI/29 in F major). One probably does not usually think of Richter as “playful” pianist. However, playfulness was almost always part of Haydn’s spirit; and Richter acknowledged it accordingly. To be fair, however, I did not spend the entire year obsessing over Richter or confining my attention to albums distributed by Naxos of America. I thus feel it just as important to single out Warner Classics’ release of the 25-CD Olivier Messiaen edition, which I reviewed piecemeal through a series of articles written between May 15 and June 15. (Warner Classics had released their own Richter collection, but I had written about it in 2016.) Warner chose not to release a “complete works” collection of Messiaen. Instead, the box set was divided into two parts, the first consisting of “authorized” recordings that Messiaen supervised and/or performed. The second part was described as “landmark” interpretations. Taken as a whole, this collection made for a very enjoyable spring this year; and I continue to consult it for the insights offered by both of its parts. As a result 2017 turned out to be a very satisfying year, even if it was not dominated by “latest and greatest” recordings by current and rising talents. This morning the USA Today Web site posted an Associated Press report of accusations of sexual misconduct declared against conductor Charles Dutoit. According to the article, the accusations were made by “Three opera singers and a classical musician.” The actions were said to have taken place in five cities: Chicago, Los Angeles, Minneapolis, Philadelphia, and Saratoga Springs (in New York). Dutoit has been a regular guest conductor of the San Francisco Symphony (SFS); and this season he was scheduled to present two weeks of SFS concerts during the month of April. In addition, the London-based Royal Philharmonic Orchestra, for which Dutoit is Principal Conductor, was scheduled to visit Davies Symphony Hall as part of the SFS Great Performers Series at the end of January on two consecutive evenings, each presenting a different program. Both these concerts and those in April will still proceed as scheduled, but arrangements are being made to bring in one or more substitute conductors. Further details will be announced as they become available.